PINK Fashion Event 2018 takes off indeed! And it happened again! 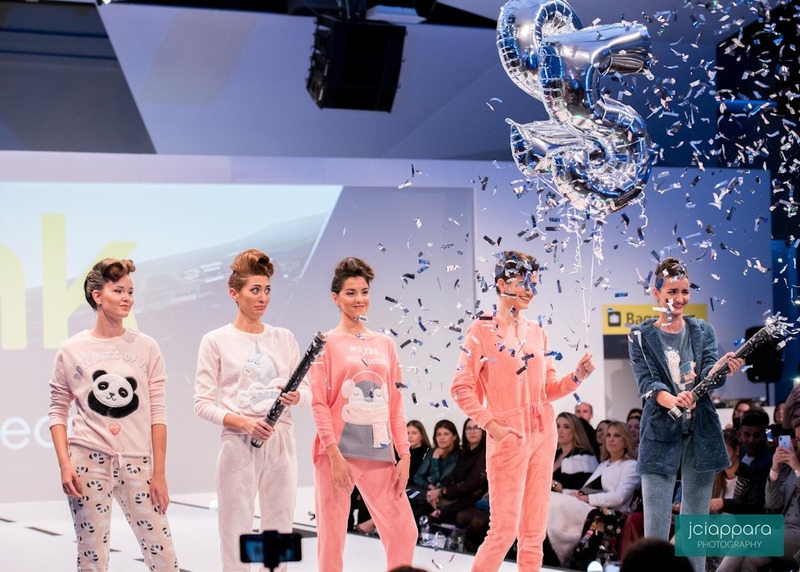 The Pink Fashion Show, a Times of Malta event took off and landed successfully leaving us all inspired with many fashionable trends for this season. This time, the 5th anniversary event was one themed around Aviation with the recreation of an airport environment, complete with authentic signage, seating, check-in desk and walk-through metal detectors from Malta International Airport. The printed invitations in our hands resembled boarding passes and we had pretty Air Malta hostesses controlling the enthusiastic audience. We knew we were in for yet another heart-pumping evening. I was lucky once again to have been allocated a front row seat so I could clearly see all the styling, the make up and hair details and all the trends from the different participating brands and share them with my followers on Instagram stories @graziellecamilleri that evening. Thank you for tuning in and for all the lovely comments about my outfit! 30 models showcased the collections of 11 brands on the runway-design catwalk. If you had to ask me which were my favourite brands this time, I would have a difficulty to answer you because in this particular show, because the styles were quite classic, and very up my alley, I loved at least 5 brands equally. 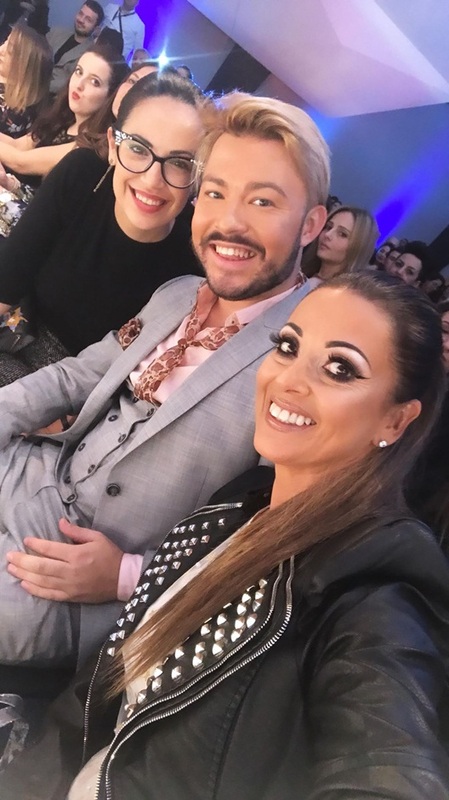 In this blog I m sharing a selection of looks I loved to also give you an idea of what I mean when I say it was one of the best shows to date by PINK in terms of the fashion styles and the flow of the event. Music was also an integral part to its success with groovy tunes that had me moving on my seat throughout. If I was really sitting on a plane seat, I would have had problems sitting still without annoying my neighbours! The brands participating in The Pink Fashion Show included Charles & Keith, Cortefiel, Gerry Weber, Furla&Oltre, Lilly Mae, Noos, O’hea Opticians, Orsay, Pedro del Hierro, Samsonite and Women’secret. It was smart and outwear and some underwear –add a touch of travel accessories and luggage and we were all entertained with tasteful presentations. Hair on the models was a contemporary yet modern take on the classical chignon hairstyle, created by Wella Professionals, with the collaboration of Cutting Edge, D Salon, Gloss, Head & Jam and Unistyler hairstylists; while the make-up was by Guerlain led by Chris Attard and his team, very natural looks to match all the styles. Designer James Dimech created a paper dress made exclusively out of the pages of Pink – a creation that involved the use of 100 copies of the last two issues of the magazine and 48 triangular folds from the editorials to create a collar, while the tail was the most challenging with the folds fixed by hand with hot glue and stitching. The paper dress was modelled at the beginning of the show by Instagram influencer Sarah Zerafa, the face of this Pink Fashion Show, who also enjoyed her first modelling experience with PINK. The Pink Fashion Show was possible with the support of Air Malta, Campari, Costa Coffee, GasanZammit, Idun Minerals, Kinnie, Mazda, Nina Ricci, Rummo and UNOde50. Thank you so much PINK for having me at this amazing event. Thank you Air Malta for the complimentary flight. I ‘ve already booked myself a fashionable getaway with my bestie Denis for the first quarter of 2019! It’s always a pleasure to attend this bi-annual event and to catch up with so many beautiful people. Until the next one, clearly the sky is not even the limit for PINK so once again .. look forward to the next one!